Expect further rent drops during the summer. However, those of you living in central locations are likely to see rents stabilising by next year while those in secondary locations can see prices softening further. This is as per a market report issued by real estate consultancy Core Savills. Rents in Dubai continued to soften across the board in the second quarter, with only one exception in Dubailand, possibly due to low entry level rents. “Tenants are increasingly conscious of current market conditions and many have successfully renegotiated contracts while others have shifted homes, either upgrading to a better unit at a similar or lower rent” says David Godchaux, CEO of Core Savills. Rents typically tend to lag the sales market performance by some time. This lag was in play two years ago as landlords were resistant to adjust rents in line with overall market softening and sales price drop. As the market dropped further and rents lost momentum by 15 to 20 per cent, this is now resulting in a delayed and amplified drop in rents. Landlords are increasingly open to negotiations by compromising on yields to retain or attract tenants. Multiple cheques are becoming more common. However, units offered at competitive rents in core locations such as Dubai Marina, Jumeirah Lakes Towers (JLT), The Greens and The Views are absorbed within two to three weeks of them coming to the market. Although yields have contracted, they are still above 7.5 per cent for most apartment districts and 5.5 to six per cent for mid-segment villa districts – higher than other forms of investments in the region. “Rents will have to be between 25 to 40 per cent [depending on the location] lower than the present level to start having a notable negative impact on the investor market and prices. Even with the present subdued rental market, this is an unlikely probability over the next 24 months,” added Godchaux. Core Savills estimates that over 3,500 units were delivered in Q2 2017, compared to 3,100 units during Q1. Of these, 70 per cent were apartments and the rest comprised villas. Deliveries were distributed across Warsan Village in International City, Dubailand, Dubai Silicon Oasis, Downtown Dubai, Jumeirah Village Circle and Palm Jumeirah, Belgravia phase 1 in Jumeirah Village Circle and Volante in Business Bay. The consultancy estimates 11,200 units to be handed over in total for the remainder of this year. The number of transactions in Q2 was six per cent higher when compared to the same period last year, while the total value remained almost equal, albeit lower than Q1. Dubai Marina, Jumeirah Lakes Towers, The Views and The Greens witnessed steady transaction activity. There was higher movement in the villa districts across the low to mid-market segment of Jumeirah Village and Mira. The mainstream market witnessed a two-tiered performance. The outer areas of Dubailand and Dubai Sports City maintained upward momentum in prices. Discovery Gardens prices saw double dipping, with newer developments by Azizi being delivered in close proximity to the sub-market at very competitive prices. “These new projects benefit from the social infrastructure available within Discovery Gardens, causing a migration of buyers out of this district, adding downward pressure on prices,” added Godchaux. Both apartments and villas in JVC are seeing marginal appreciation as the district nears completion and achieves higher occupancy. The Springs and The Meadows suffered due to the trickle-down effect of Mira’s delivery in Reem. Both communities are managed by Emaar but Mira is considerably newer and relatively cheaper, enticing a section of potential buyers away from The Springs and Arabian Ranches’ smaller units. Burgeoning off-plan sales are proving detrimental for secondary sales in a few apartment districts. “As existing owners try to attract the same pool of investors and attempt to sell their ready properties, they contend with highly competitive and attractive payment plans offered by master developers. With a wider variety of products to offer, they can exercise a higher level of price control on the area and retain their edge over individual landlords,” informs Godchaux. Dubai Marina is seeing a healthier ratio between off-plan and ready properties. Products such as Vida Residences were launched at much lower entry prices compared to the area average, which made investors flock for these early-bird incentives. 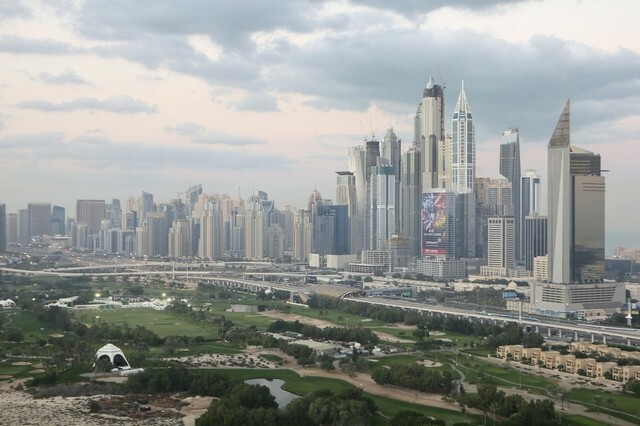 A surge in off-plan sales was also witnessed in other low to mid-market districts, such as Dubailand and Jumeirah Village, while their ready property sales remained relatively flat over the last few quarters.